I am a big fan of Tamilnadu hotel style kuska biryani. Before marriage we used to have this rice from a nearby restaurant at least twice in a month during weekends.My appa calls this as”pattai sadam”. 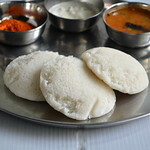 Madurai is popular for Kuska rice. In hotels, they usually serve kuska with onion raita and salna or ennai kathirikai. I love that combo. Kuska,this term might be new to some you.I will tell you what it is. 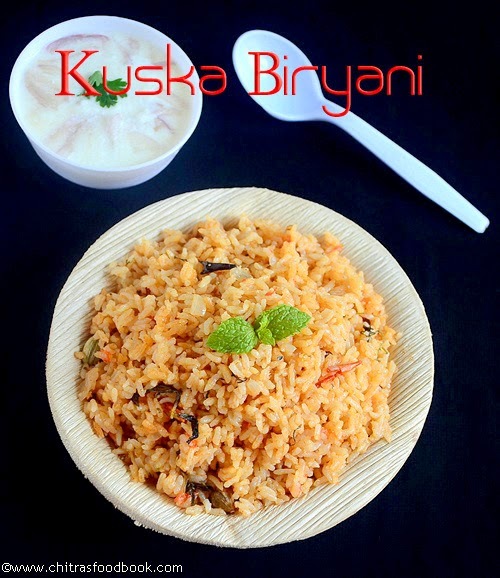 Kuskha is nothing but the plain rice cooked n flavoured with masalas without adding vegetables or meat. You can call it as plain vegetarian biryani. Usually muslim people do this for all their marriages and festivals.In urdu,”Kushk”means plain.It is very famous in Hyderabad and Tamilnadu.Thanks to Spiceindiaonline from where I got these details.In Tamil nadu, you get kuska mostly in small hotels or mess. In some big hotels,they serve chicken or mutton biryani as kuska just by removing the pieces.So my dad always buys it from vegetarian hotels.Its my long time dream to recreate kuska at home.I have tried several recipes but they were not satisfactory.Recently I was chatting with my reader Kirthiga devi in facebook.More than a reader, I should say she is like my sister. She calls me fondly as akka. When we were talking, I just asked her about kuska biryani and she immediately shared her recipe with detailed steps.She suggested me pressure cooker as well as Dum method. I chose pressure cooker method as I felt it easy. She also said that this is the recipe of muslim style kuska. Then, what else I need to try this??. I tried it for my lunch today. It was awesome. I got the same taste as I expected. Thank u so much kirthiga. Many people use coconut milk for kuska. But I used milk. Friends,whenever you are run short of vegetables, do try this kuska rice. Bachelor’s & working women can make this easy rice for their lunch box during busy mornings .Its a no grinding & less chopping rice variety .Just one onion, half tomato & biryani spices is enough to prepare this delectable dish for two people. 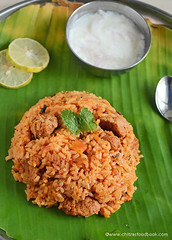 U can use either jeera rice or basmati rice as per your liking.Lets see how to make Tamil nadu style kuska biryani. How to make hotel kuska biryani recipe at home easily. In the mean time,finely chop onions,tomatoes,mint leaves and coriander leaves. Then in a pressure cooker base,heat oil and add all the spices,saute for a second. Then add onions,g&g paste and saute till raw smell leaves it. Add tomato pieces and saute till mushy.Now add red chilli powder,dhania powder and saute for sometime. 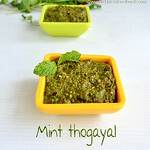 Add mint,coriander leaves.Mix well.Now add the curd,soaked rice with water and spices. Add the required salt.Check for taste and pressure cook in low flame for one whistle or 10 minutes.Open the lid after the steam is released.Mix with a fork once.Check whether rice is done else add 1/4 cup of water and allow it to cook for 1 whistle in high flame or keep it for 3-4 minutes in high flame. 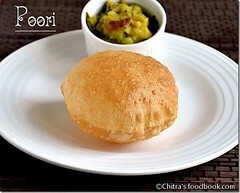 Serve with onion raita and Enjoy ! Rice takes longer time to cook in milk + water combo.So add more water and less milk if u want it to be quickly done. 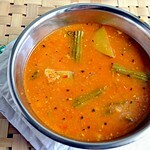 U can add 1/4 tsp of fennel seeds while sauting spices.Its optional though. Kuska I had tasted from hotels looks reddish orange in color. I think they add orange food color. 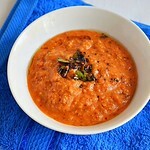 But I used only red chilli powder to bring this color.So add food color if u wish. For variations, you can add coconut milk instead of plain milk OR use water alone. 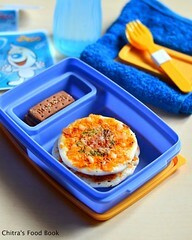 Remember the ratio of rice n water should be 1:2 even if you soak for 30 minutes. If you use jeera rice,soak only for 15 minutes else rice will turn clumpsy after cooking. If you soak for more time, add 1.5 cups of water instead of 2 cups. Easy n tasty Kuska biryani is ready ! Looks Great.. My method is little different.. will try ur method very soon & inform you dear..
Love this plain Biryani...... very well presented! I love this rice.. My mum does this too.. I make something similar to this, but with more tomatoes, would love to try this version..
thats very new to me.. never heard abt them . good insight abt the dish. well made n presented too..
Hi chitra tried ur kuska receipe today. Turned out very well, it was little bit spicy for me though. 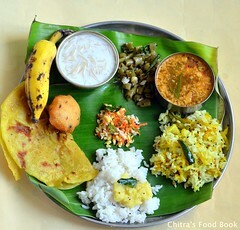 Chitra, I tried this recipe. It taste great. 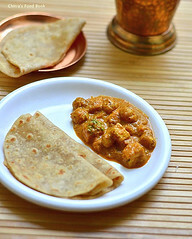 Awesome recipe Chitra- Simple yet so flavorful! Love this Kuska and also your Veg. Pulao/Biriyani. Both taste delicious and also smell great(during cooking and eating) which is important for biriyani. Thanks for sharing!! 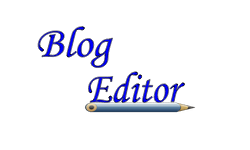 Hoping to try more from your Biriyani collection and I think you should try to publish it. Thank you so much Anusha :) Do try my other biryani recipes. Hope you will like it.